On December 6, 2010, President Obama announced that he reached a deal with Republicans to extend the federal estate tax and other tax cuts. Under the deal, the estate tax exemption would be up to $5 million for individuals and $10 million for couples. The tax rate would be 35%. The exemption and rate would be in effect for two years. This announcement only intensifies the estate tax debate. The proposed tax deal that further weakens the estate tax is outrageous. The deal would make the estate tax even weaker than it was under President Bush, and the weakest it has been since the tax started in 1916. The estate tax is our country’s most progressive tax, and our only tax on wealth. Wealth inequality is already at the highest levels since 1928. A weaker estate tax will result in the richest 1% owning even more of our county’s wealth, and will shift the responsibility for paying taxes from the wealthy to the middle class. United for a Fair Economy’s members strongly support the estate tax, including business owners, farmers, and thousands of wealthy people who expect to pay the estate tax. They all agree that the estate tax is the right way to have those who have benefited the most from our country’s government to give back so that our country prospers. More than 40,000 ultra-rich Americans may have another reason to celebrate the holiday season if President Barack Obama's latest estate tax proposals are passed by Congress. Obama struck an agreement on Monday with congressional leaders on a range of tax issues, including cutting the estate tax to 35 percent and raising the individual exemption to $5 million. The estate tax, which expired this year, is due to return in 2011 at 55 percent with a $1 million exemption. If the compromise proposal is passed, roughly 40,700 families will avoid an estimated $23.2 billion of estate taxes next year, according to the Urban-Brookings Institute Tax Policy Center. Around 3,500 families would pay an estimated $11.2 billion in estate taxes. "They're making the estate tax weaker than it has been for more than seven decades. This is a real mistake," said Lee Farris, who follows estate taxes for United for a Fair Economy, a group advocating progressive tax policy. "Obama also puts himself in a bad position to negotiate the tax in two years." Obama agreed to extend all Bush-era tax cuts for two years, yielding to Republicans, who won big in mid-term elections. The preliminary agreement would renew tax cuts for the middle class, as well as the wealthiest Americans. "You knew Congress was not going to let the Bush tax cuts expire. There are too many millionaires there," Ray Madoff, a Boston College law professor and expert on trusts and estates. "This helps an absolutely tiny, tiny portion of the wealthiest people who are passing billions to their heirs tax-free." Tax experts now estimate that less than one in 400 families will pay the estate tax, the fewest since the Depression. The estate tax was not the only gift for the wealthy in Obama's plan. It’s outrageous! President Obama has announced a tax deal with Republicans that further weakens the estate tax. In the deal, Democrats would accept the Lincoln/Kyl estate tax bill, with a $5 million exemption per spouse and 35% tax rate, for two years. The deal would make the estate tax even weaker than it was under President Bush, and the weakest it has been in seven decades. The deal includes some important tax credits for lower income people and an extension of unemployment benefits. But overall, this deal is no compromise. It gives away too much and gets too little in return. This deal is unacceptable. Express your OUTRAGE: Call the President and Congress now! CALL THE WHITEHOUSE switchboard at 202-456-1414, and the comment line at 202-456-1111. 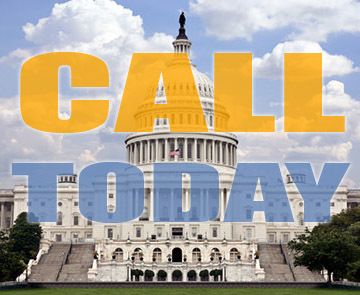 CALL YOUR TWO SENATORS AND YOUR REPRESENTATIVE at the toll-free Congressional switchboard at 800-830-5738. This deal is outrageous. Do not accept it! 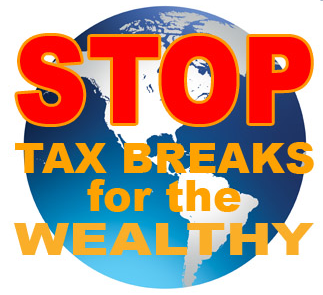 End the top-tier tax breaks. Don't take any deal unless it has an estate tax at the 2009 level or stronger. We need a tidal wave of calls! Forward the alert, then CALL your friends; blog and share this alert on your social networks. President Barack Obama confronted pushback from fellow Democrats today as he begins the job of selling his agreement with congressional Republicans to temporarily sustain all the Bush-era tax cuts. After almost a week of negotiations between an administration team led by Treasury Secretary Timothy Geithner and budget director Jack Lew, Obama announced last night he’ll accept a deal that would extend current tax rates for high- income taxpayers for two more years in exchange for extending federal unemployment insurance for the long-term jobless and cutting the payroll tax by $120 billion for one year. While Republicans such as Senate Minority Leader Mitch McConnell welcomed the compromise, Democrats said they haven’t committed to the plan and party activists mounted campaigns to kill it. Vice President Joe Biden is being dispatched to the Senate Democratic Caucus lunch this afternoon to lobby lawmakers. Obama said he made the compromise to break the stalemate over taxes to ensure rates don’t rise for middle-income Americans when the current ones, enacted in 2001 and 2003, expire on Dec. 31. He said that while he still believes the nation can’t afford to permanently extend the reduced top tax rates, raising taxes for the rest of taxpayers would damage the fragile economic recovery. In addition to preserving the status quo on Bush policies, the proposal creates more than $300 billion in new tax cuts for wage-earners, wealthy families, and corporations. Stocks rose, copper and gold climbed to all-time highs and Treasuries fell after word of the agreement, offsetting concern that Europe’s debt crisis will spread further. The Standard & Poor’s 500 Index jumped 0.8 percent to 1,233.10 at 9:57 a.m., reaching its highest levels since September 2008. The Nasdaq Composite Index rose 0.9 percent 2,617.71. The Dollar Index fell 0.3 percent. Copper rose to a 31-month high in New York and gold for delivery in February jumped to as much as a record $1,430.50 an ounce. Obama met yesterday afternoon at the White House meeting with Democratic congressional leaders to outline what he called a “framework” for compromise tax legislation. House Democrats will meet later today to air some of their concerns, he said. One of the sticking points is the provision that would set the top rate of the tax on estates at 35 percent, which applies after a $5 million tax allowance per individual. In a letter to House Speaker Nancy Pelosi of California circulated yesterday, Representative Peter Welch of Vermont and at least five other Democrats urged her not to agree to the administration’s deal. Jim Manley, a spokesman for Senate Majority Leader Harry Reid of Nevada, was noncommittal. “Now that the president has outlined his proposal, Senator Reid plans on discussing it with his caucus tomorrow,” Manley said. An administration official said the president was happy with the agreement because it would give the economy a boost. Obama won his biggest prize: a 13-month extension of unemployment insurance, the official said, speaking on condition of anonymity. The White House also counted as a win an agreement from Republicans to renew a refundable child-care tax credit, the earned income tax credit, tuition tax credits and a 2 percentage point reduction in payroll taxes, among other items, the official said. The compromise amounts to a couple hundred billion in tax cuts that no one thought possible just days ago, the official said, adding that the deal will play better across the country than in Washington, D.C. The Office of Management and Budget said it doesn’t yet have an estimated cost estimate for the package, spokeswoman Meg Reilly said in an e-mail. Lawrence Mishel, president of the Economic Policy Institute, a Washington group funded in part by labor unions, said Obama extracted some concessions from Republicans that may help the deal advance in Congress. If Congress agrees, the deal would leave in place the 10, 15, 25, 28, 33 and 35 percent marginal tax rates created in 2001. It would also preserve for two years the 15 percent tax rate on most capital gains and dividends, and would temporarily index the alternative minimum tax for inflation. In addition, the plan outlined by Obama would extend aid for the long-term unemployed for an additional 13 months. To help spur hiring, the payroll tax -- which funds Social Security and Medicare -- would be cut by 2 percentage points during 2011. The payroll tax cut would apply to all wage-earners, an administration official told reporters on a conference call. That would be an $800 savings for individuals with an income of $40,000. 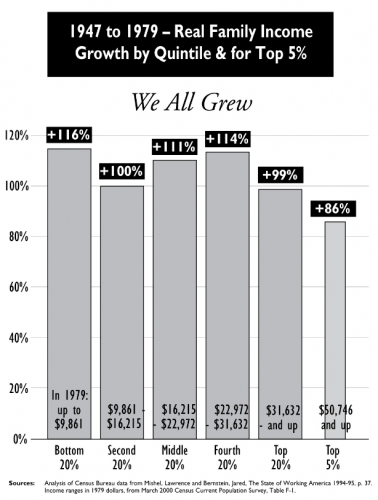 Those who earn salaries of more than $106,800 would save a maximum of $2,136. The proposal would cost the government $120 billion, another administration official said. The 2 percentage point cut represents a savings of about a third on the 6.2 percent share of the tax workers normally pay. Their employers get no benefit under the proposal. The unemployment rate rose to a seven-month high of 9.8 percent in November as payroll growth slowed to 39,000 from 172,000, according to the Labor Department. The compromise plan would set the estate tax at a top rate of 35 percent, which applies after a $5 million tax-free allowance per individual. That rate would be the lowest since 1931 --not counting 2010, when the rate was zero and replaced with a complicated capital gains tax that applies when inherited assets are sold. Read the rest of this column on Bloomberg.com. The holidays are here and Congress has returned to Washington. We have only a few weeks to get Congress to do the right thing about the estate tax and the Bush tax cuts. Republicans want Congress to be Santa Claus for the wealthy by showering the gifts of more tax cuts on the richest 0.25 percent of taxpayers. They believe a $7 million tax-free inheritance is simply not enough for the heirs and heiresses of multi-millionaires. They also want to shower an additional $700 billion over 10 years on people earning more than $250,000 per year by extending the top-tier Bush tax cuts – and they're holding tax cuts for 98 percent of Americans hostage to get what they want. They’re "Scrooging" the long-term unemployed by cutting their unemployment benefits, arguing that the deficit is too high. And yet, they don’t see the need to pay for tax cuts for the already well-off. CALL THE WHITEHOUSE switchboard at 202-456-1414, or the comment line at 202-456-1111. And, that you want that tax revenue to go towards a robust jobs creation program – one that will put Americans back to work in good jobs that add value to society, and will create the demand we need to get our economy's wheels turning again. Hosting local meetings to discuss why, now more than ever, your community needs a progressive federal tax system, and to develop a plan for collective action - call us for help. Anti-tax groups are not going down without a fight, so please do as much as you're able to amplify your voice in support of federal tax fairness. Thank you so much for taking action! Brave New Films does it again! This time, they share the common thread between several seemingly unrelated subjects: a reality show star (if that's what they're called), expensive hotel rooms, monkeys in private captivity, and the roiling debate over the Bush-era tax cuts for the wealthy. While the connections are loose, the video still sends a pretty powerful message about wealth, status and austerity for folks scraping by in the US. And, it's kinda funny. For those reasons, we're paying it forward. Enjoy. President Obama's discussion Tuesday with leaders of both parties about the expiring Bush tax cuts comes at a time when a growing chorus of progressives and other reasonable-minded Americans have been ramping up pressure on the White House to allow the cuts for millionaires to end - as intended - at the end of the year. Last week that chorus was joined by a group of unlikely, albeit welcome new singers: the millionaires themselves. In a November letter to President Obama, a group calling itself Patriotic Millionaires for Fiscal Strength argued that the wealthiest Americans do not need, and should not be given, an extension on tax cuts that have done next to nothing to improve broad economic prosperity. "We are writing to urge you to stand firm against those who would put politics ahead of their country," the letter's authors write. "Now, during our nation's moment of need, we are eager to do our fair share." Signers include a number of early Google executives as well as leaders of companies such as Ben and Jerry's, Men's Wearhouse and Princeton Review. They aren't the first group of ultra-wealthy people to signal discomfort with senseless fiscal policy designed to benefit the top 2 percent. A group of 700 business leaders and individuals known as Responsible Wealth have called the Bush tax cuts "irresponsible" and "downright inexcusable." Bill Gates Sr. and Warren Buffet, of course, have also called for a change in priorities. For the most part, these are not the kinds of proclamations we have come to expect from America's rich. More often than not their views are distilled through megaphones such as the Chamber of Commerce, which wield outsized influence and use both foreign and national dollars to further the causes of the relative few. We have come to expect America's wealthy to stand behind the Republican Party - a party itself composed largely of millionaires in Congress - and to demand new income tax cuts, or corporate loopholes, or the end of the estate tax, even while they peddle faux concern about the federal government's long-term debt position. It's worth remembering, however, that it wasn't always this way. There was a time when the concept of patriotism - the idea of putting country above self - extended beyond our foreign policy. There was a time when economic patriotism was very much a part of the business community's mind-set, even embedded in the worldview of the kinds of Northeast Republicans who are now all but extinct. Robert Johnson, for example, one of the founders of Johnson & Johnson, urged his business colleagues in a 1947 speech never to ignore the plight of the working class. Doing so, he said, "is as foolish as it would be to ignore public health, crime, and the need for education." During the golden era of the 1950s, a Republican president, along with Republican members of Congress, accepted a top marginal tax rate for millionaires that was 91 percent. "The only way to make more tax cuts now is to have bigger and bigger deficits and to borrow more and more money," President Eisenhower argued. "This is one kind of chicken that always comes home to roost. An unwise tax cutter, my fellow citizens, is no real friend of the taxpayer." Read the full column by Katrina vanden Heuvel on TheWashingtonPost.com. With the US Congress hurtling toward a deadline on expiring tax cuts, a growing number of wealthy people are calling for higher taxes on the rich to help restore America's fiscal health. One effort gathered over 45 millionaires who signed an open petition calling for the end of the tax cuts adopted since 2001 on those with annual incomes exceeding one million dollars. Tax breaks for the wealthy should expire "for the fiscal health of our nation and the well-being of our fellow citizens," the letter said. It was signed by Ben & Jerry's ice cream founder Ben Cohen, hedge fund manager Michael Steinhardt and others. Guy Saperstein, a retired California trial lawyer who organized the effort, said he was "frustrated" that President Barack Obama appeared to be wavering on his pledge to end tax cuts for the wealthy. "I think the country's in trouble," Saperstein told AFP. "In hard times, the top strata who have done fabulously well need to sacrifice a bit, and it's not much of a sacrifice... We have among the lowest tax rates of any industrialized democracy." Saperstein said an estimated 1,500 people have signed the letter although some of them did not want to be publicly identified on the group's website. Philippe Villers, a French-born US businessman who founded Computervision in the 1960s and now heads Grain Pro, says he signed the letter even though it would mean higher taxes for himself. "I don't think (extending the tax cuts for the wealthy) are fair or in the interest of building a strong economy," he said. Villers argued that tax cuts enacted under former president George W. Bush gave a "disproportionate benefit to people with means" and contributed to the current economic woes. Another 410 high-income Americans have signed a similar petition by Wealth for the Common Good, a network of business and civic leaders, calling for tax cuts to expire for families with incomes above 250,000 dollars. "I've had a good run over the last few years. There's no question that others now deserve to share in that prosperity," said one of the signatories, Jeffrey Hayes, president of Stratalys Research & Consulting. Similar comments have come from Warren Buffett, the investment guru who ranks among the world's richest individuals. "I think that people at the high end -- people like myself -- should be paying a lot more in taxes. We have it better than we've ever had it," Buffett said in an ABC News interview. The efforts come with Congress struggling in the face of tax cuts expiring at the end of this year. If no action is taken by December 31, the current top rates of 33 and 35 percent would return to pre-Bush levels of 36 and 39.6 percent for the richest Americans. But taxes would also rise on all Americans if Congress fails to act. Many Republicans are pressing to extend the tax cuts to stimulate a wobbly economy. Obama and his Democratic allies are urging extended tax cuts for all but the wealthiest two percent of Americans -- claiming this move would help raise 700 billion dollars over 10 years to ease a crushing deficit. UFE's Lee Farris joined Rick Smith – Pennsylvania talk show host and voice of the working class – to discuss the outright betrayal of struggling Americans by Congressional Republicans, who are holding unemployment benefits for millions of people hostage in their misguided push for permanent extension of the Bush tax cuts for the wealthy. The future of America’s middle class is at stake as the battle over the Bush tax cuts heats up in Washington. Despite the fact that a strong majority of Americans support ending the Bush tax cuts for the wealthiest, some in Congress are still hesitant. It’s at times like these that we should take a long, hard look at what got us into this economic mess. On the eve of the Great Recession in 2007, income inequalities in America were at their highest levels since just before the Great Depression. 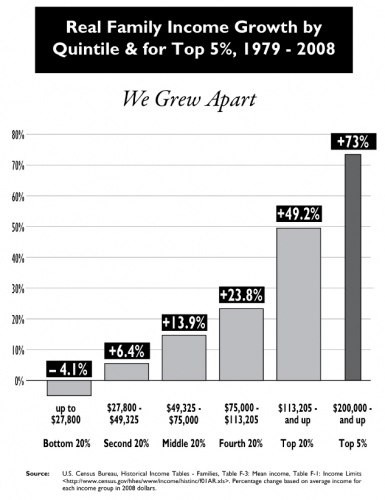 50 percent of all income went to the top 10 percent in 1928, leaving the bottom 90 percent to vie over the other half. That dropped to just over 30 percent during the Great Prosperity from 1942 to 1979, leaving nearly 70 percent of income for the remaining 90 percent of households, though overt racism barred many from sharing in that prosperity. The purchasing power of that broad and strong middle class became fuel for the roaring engine of our nation’s economy. Then in 1980 our nation began to grow apart again – a divergence kicked off by financial deregulation and tax cuts for the wealthy. The growing divide was made worse by the assault on organized labor and the weakening of social safety nets. By 2007, income inequalities had reverted to pre-Depression levels. Mark Twain once said, “History doesn’t repeat itself, but it does rhyme.” And so it does. With so much money in so few hands, high stakes speculation and wild bubble rides on Wall Street destabilized our economy. When the house of cards came down, it fell right on top of middle-class Americans. Communities were ravaged – with the stripping away of jobs, homes and savings – while the Wall Street gamblers sat comfortably in their velvety casino chairs lighting another cigar. So far the economic recovery has been very one-sided. For low- and middle-income Americans, unemployment continues to be painfully high and millions of homes are in foreclosure. On the other hand, the Dow Jones has largely recovered since it bottomed out in early 2009, while the Wall Street crowd and Big Business execs are once again rolling in extravagant bonuses. For the wealthy, the recession’s storm has passed. Despite this one-sided recovery, Congressional Republicans are telling us the problem with our economy is that rich people don’t have enough money. They want to make the Bush tax cuts for the wealthiest Americans permanent, adding $700 billion to our national debt over the next 10 years, paid for with more borrowed money. Ironically, these are the same people screaming about deficits. Of course, they claim that this is about creating jobs, but those tax breaks are more likely to sit in a bank or be invested overseas. More importantly, pouring even more money into the pockets of the wealthy simply won’t get our economy moving again, especially in a recession as deep as this. Such a top down, “supply-side” strategy for economic growth is like pushing on a string. It’s futile and a wasteful use of borrowed money. It simply won’t work without a strong middle class to pull on the other end of that string, with the purchasing power to buy the goods and services produced. It’s time to rebuild our economic engine by putting middle-class families first. Instead of expensive and wasteful tax breaks for the very rich, we should be focused on strengthening our middle class. Obama is right to target tax cuts to those earning less than $250,000. Even better, let’s use public dollars to create jobs directly for middle-class households while making long-term investments in our communities, such as building light rail for our cities and bullet trains in major corridors, installing green energy retrofits to public buildings, and putting more teachers in our schools. Funny thing about pulling on a string. It moves even if there’s no one pushing on the other end. That’s the beauty of demand-side economic growth strategies. With a long-term focus on revitalizing our nation’s middle class with good-paying jobs, we can sow the seeds of another – more inclusive – Great Prosperity.